Poultry houses and equipment need to be disinfected before chicks use them. 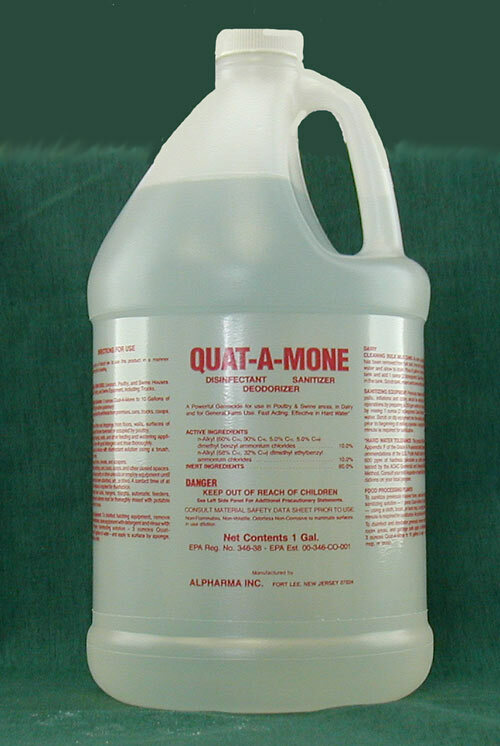 This high potency disinfectant, which also deodorizes as it sanitizes, is recommended for general use around the farm or ranch. 1 gallon.